Only 3 more days to go! Our students are really excited and have been working very hard during rehearsals, let’s all support their efforts! The performance is on Friday, 23 February 2018, from 4pm to 5pm at the school Assembly Hall. 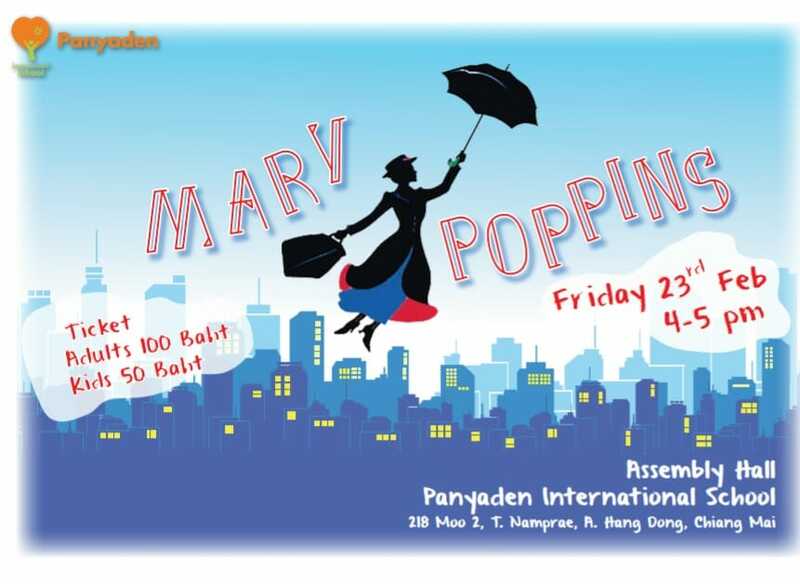 You can get your tickets at the school office (only 100 baht for adults and 50 baht for children). You can also check Panyaden’s event page for details or email: info@panyaden.ac.th for more information. Come join in the fun! This entry was posted in Featured Posts, Upcoming Activities and tagged Mary Poppins, Panyaden, Panyaden Youth Theatre Musical, students.